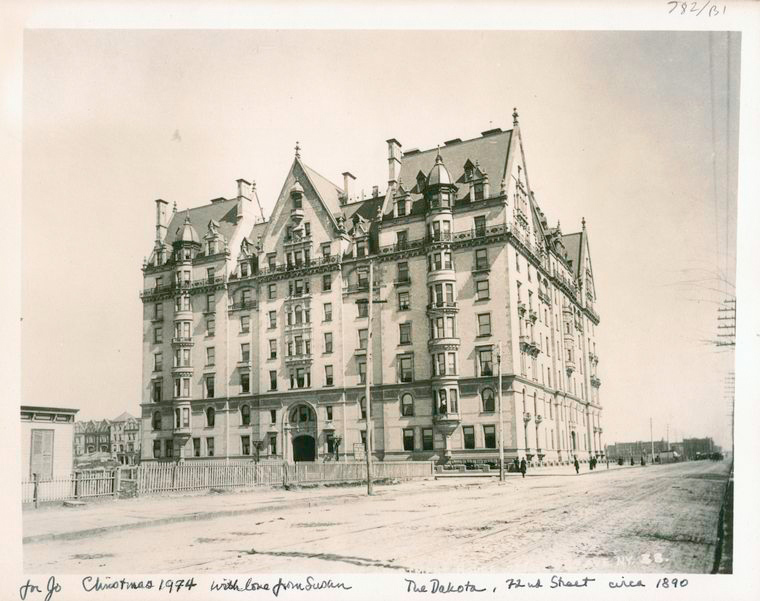 PODCAST It’s the ninth annual Bowery Boys ghost stories podcast, our seasonal twist on history, focusing on famous tales of the weird and the disturbing at some of New York’s most recognizable locations. Don’t be frightened! We’re here to guide you through the back alleys … OF TERROR! 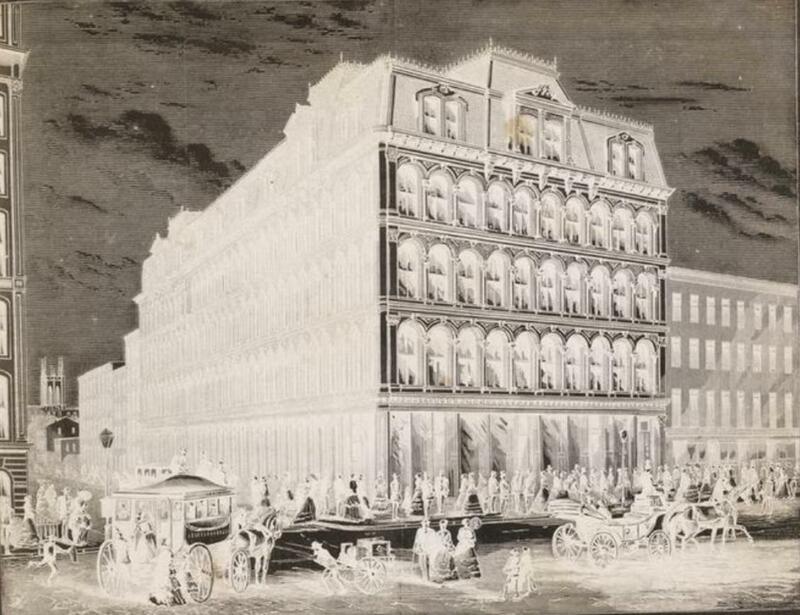 In this installment, we take a look at the spectral lore behind some of New York City’s most famous landmarks, buildings with great reputations as iconic architectural marvels and locations for great creativity. 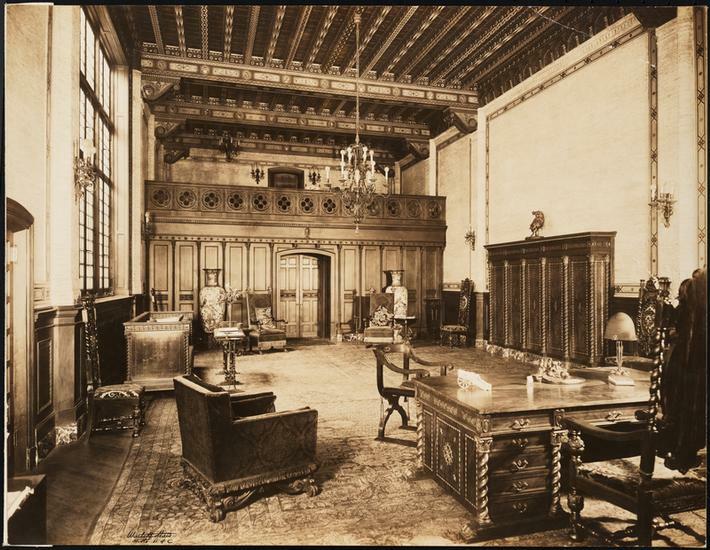 Over at Grand Central Terminal, the Campbell Apartment serves up some cocktails — and a few unnatural encounters with Jazz Age spirits. 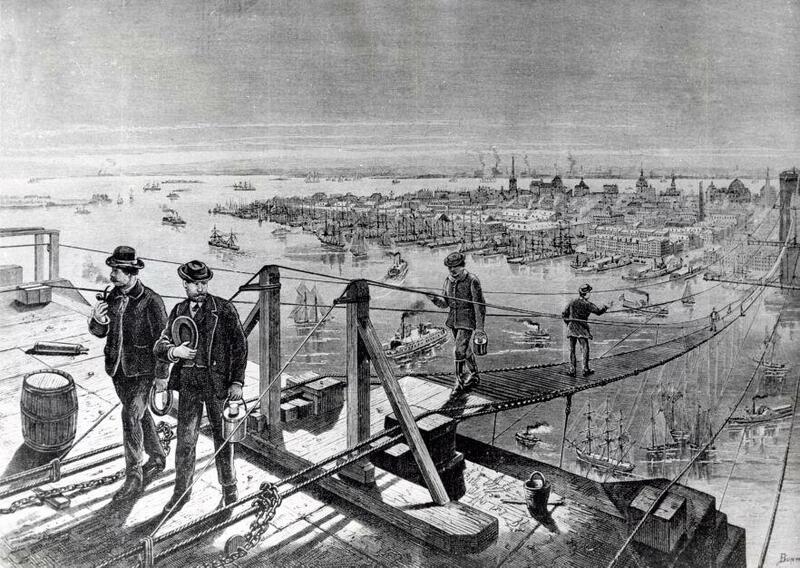 Finally, on the Brooklyn Bridge, a tragedy during its construction has left its shadow upon the modern tourist attraction. Who’s that up ahead on the pedestrian pathway? A little spooky fun — mixed with a lot of interesting history — and a few cheesy sound effects! 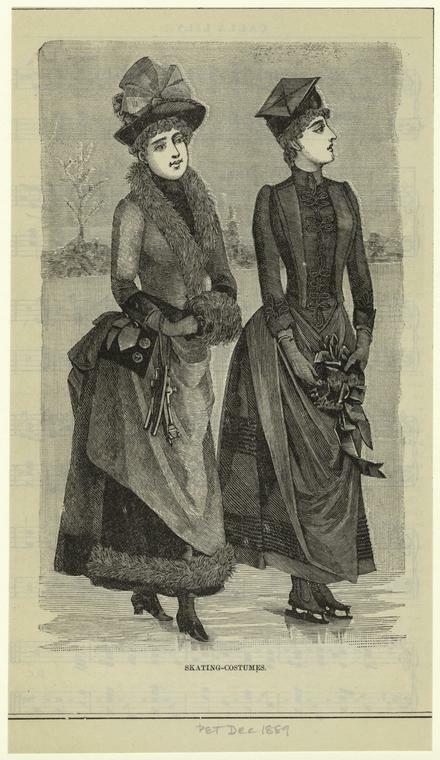 Two women in fashionable skating garments 1889. Perhaps similar to the ensembles worn by Janet and Rosette Van Der Voort during their ghostly figure eights in Central Park. 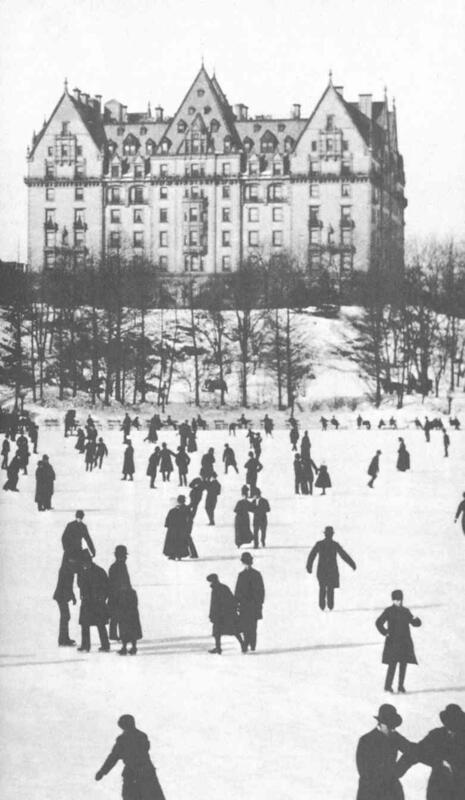 A famous image of the Dakota Apartment — all alone on the Upper West Side landscape — with skaters enjoying the frozen pond on a cold winter’s day. 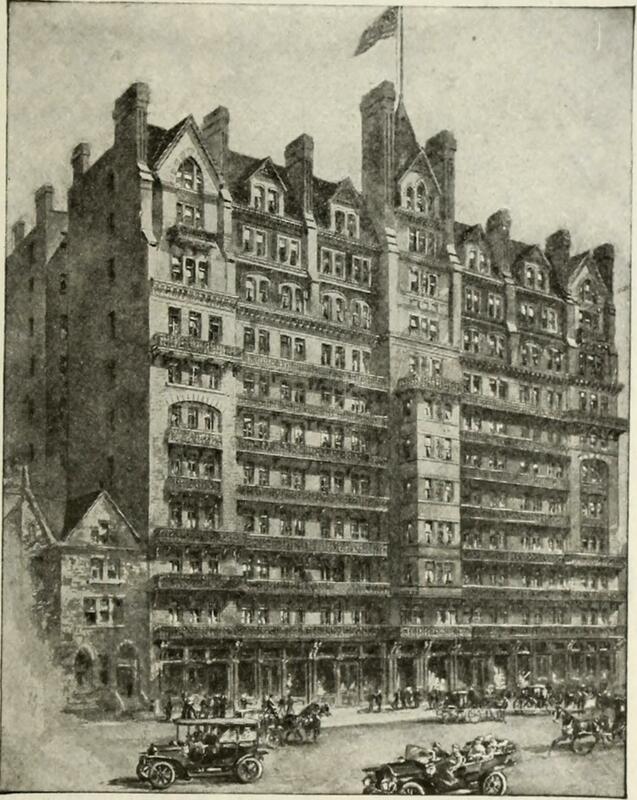 The Chelsea Hotel in 1903, one of the premier apartment houses in New York City which eventually became a destination (both short and long-term) for the city’s artistic circles. It also attracted its share of eccentric and even disturbed individuals over the decades. Oh what these floors have seen! 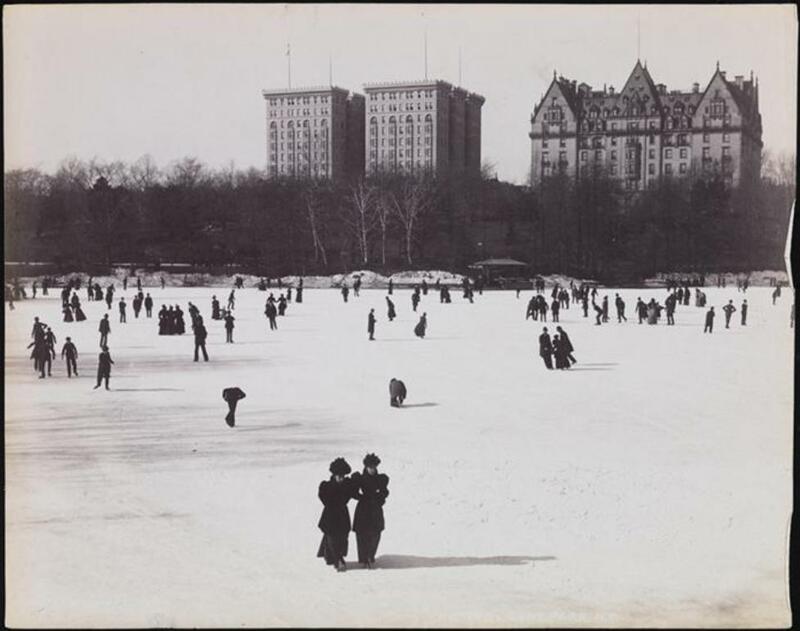 The Chelsea in 1936. 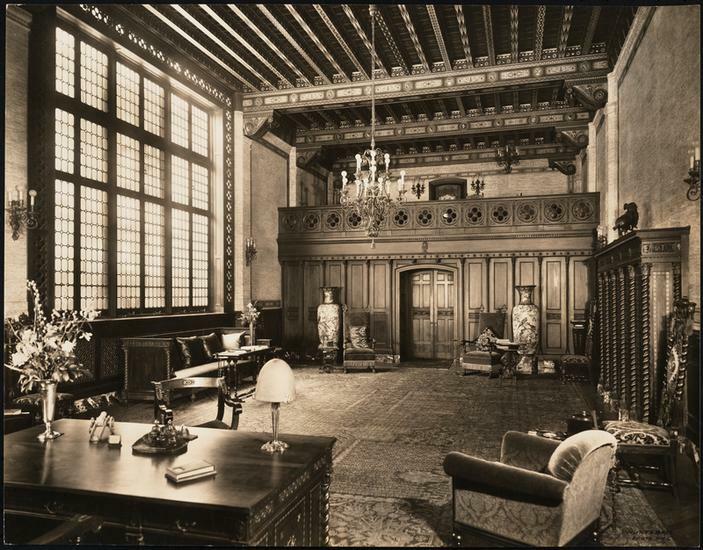 The interiors of the Campbell Apartment, back when it was an actual office. 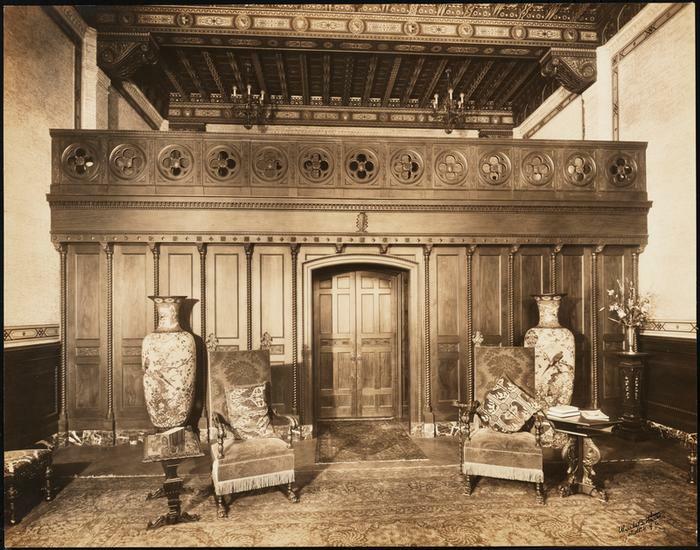 Are the ghosts of former party guests still enjoying the room’s luxurious trappings? More information at this blog post at the Museum of the City of New York. 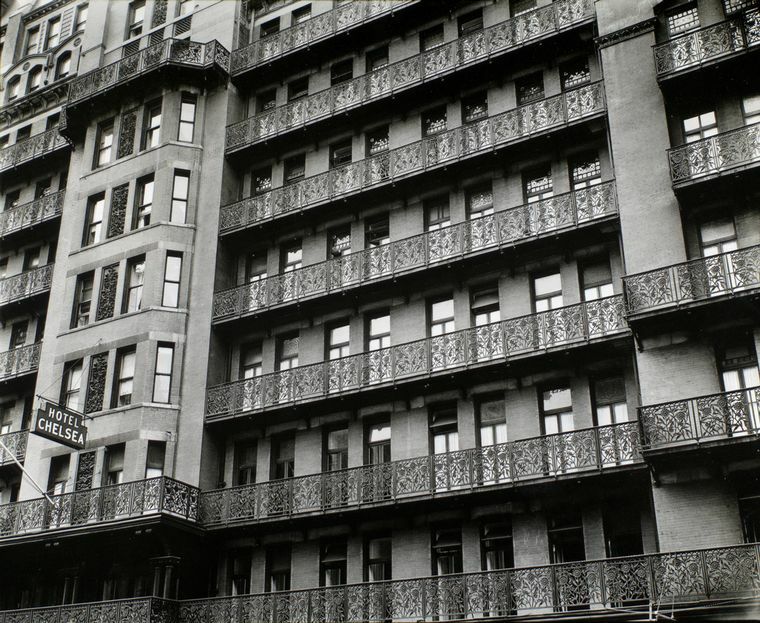 All photos, taking in 1923, by the Wurts Brothers. 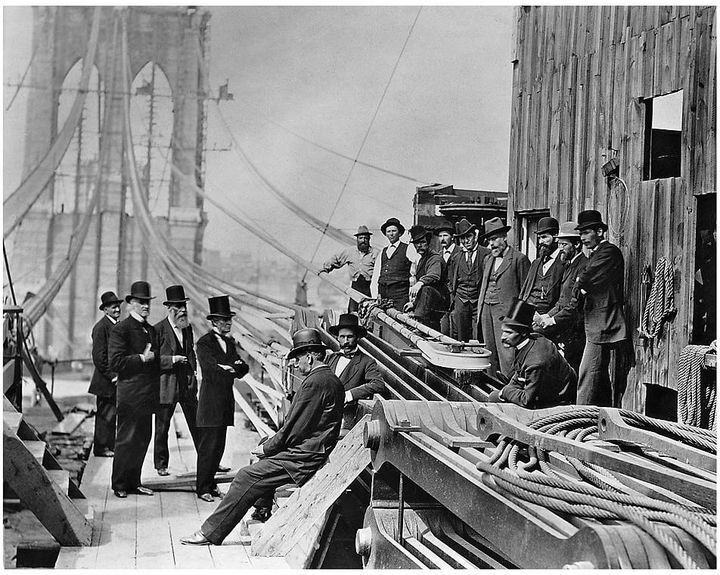 Workers upon the Brooklyn Bridge, a dangerous work environment where dozens of men were injured over the course of its construction. 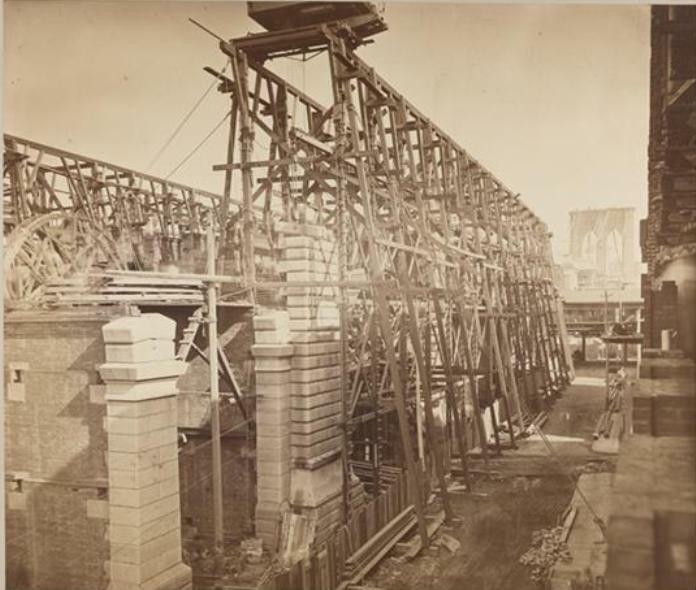 Construction of the approach to the bridge on the New York side. 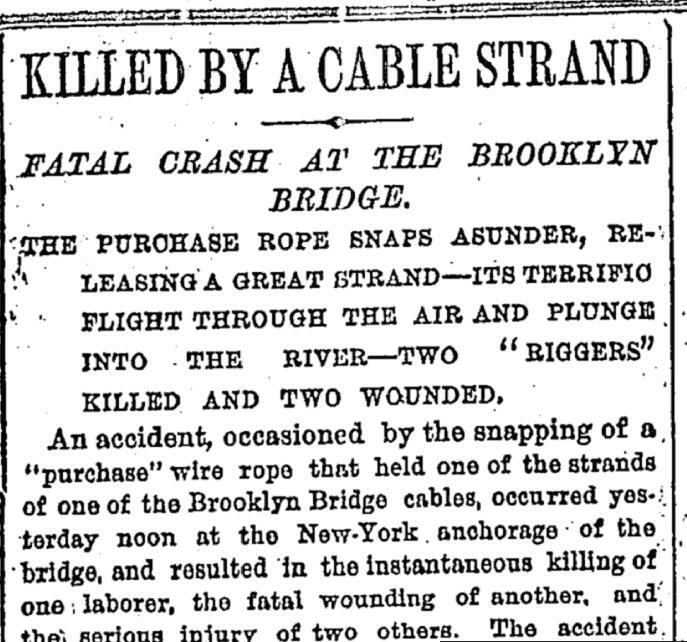 From the New York Times article regarding the unfortunate tragedy on the Brooklyn Bridge. Read the whole article here. 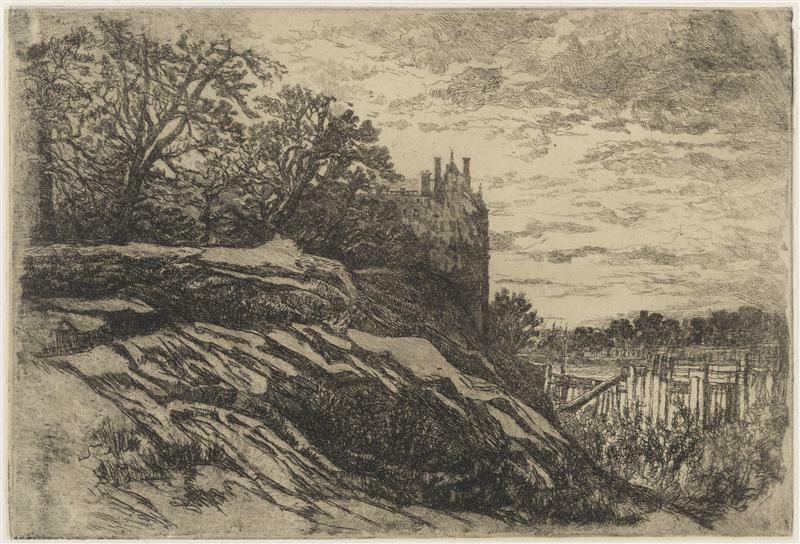 The scene at the bridge a few months after the accident — October 1878.